omid (mashhad, Iran) on 24 November 2018 in Landscape & Rural and Portfolio. Beautiful layers, silhouettes and golden light ! This is a amazing the reflection, colorAnd the layers. Espléndida composición. ***** Feliz fin de semana. Beautiful layers here and nice reflection of the bird! Wonderful nuances and dynamics of light and colour. quelle iamge l'oiseau et les personnages fantastique vue. Beautiful layers and silhouettes in this fine image. Wonderful contrasts, tones and depth!! Beautiful reflection and gorgeous color! Lovely layers, light and contrast. Pure gold ! Amazing photo! 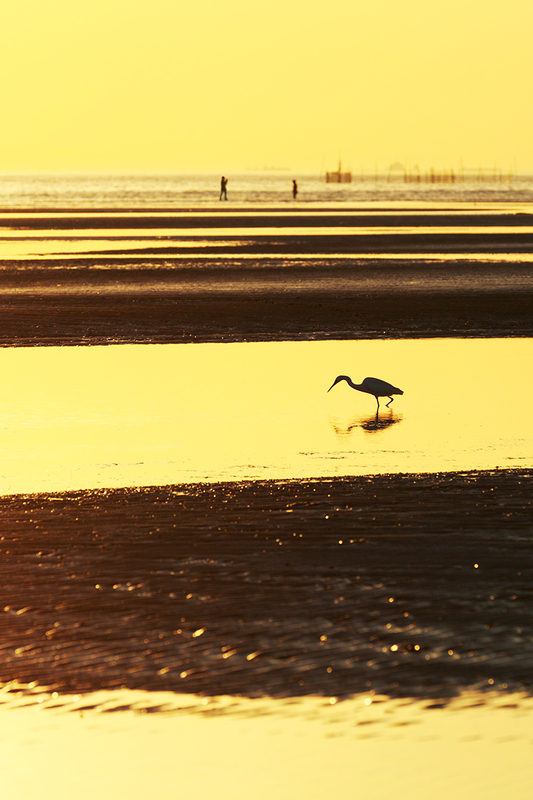 fine golden tones; I like the hunting bird, totally unaware of the distant fishermen. Beautiful layers of bronze and gold. Beautiful combination of different layers. The focus point is perfect.